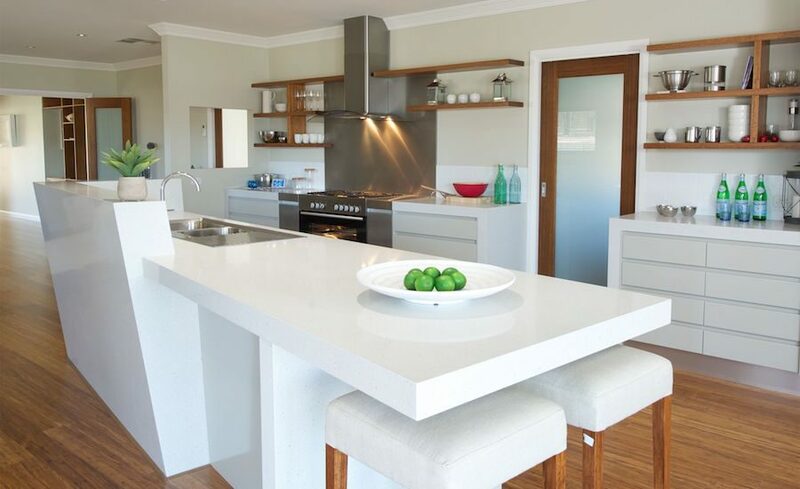 Replacing your existing benchtops with Granite Transformations couldn’t be easier. Each installation is tailor-made to not only fit your requirements, but also your lifestyle. The process starts with a free in-home consultation from which a quote will be individually drawn up to suit your specific requirements. Why not book your obligation free quote today! 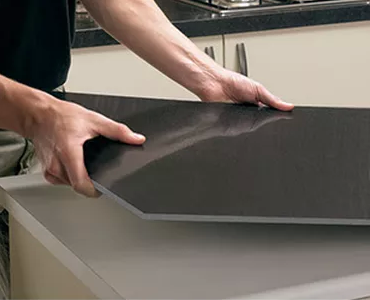 Your new benchtops are then cut to size and installed by our professional fillers. 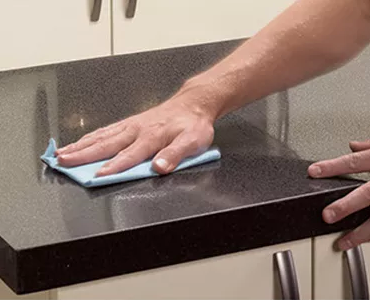 They are fitted into place and epoxied directly on top of your old benchtops. 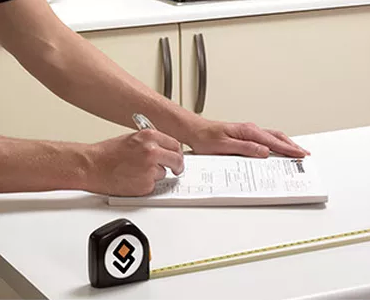 There’s no need to remove the old benchtop, therefore there is limited demolition involved, saving you time and money. Your kitchen, bathroom or laundry makeover can also include new cupboard doors, drawer fronts and end panels. Whenever you use our Trend Engineered Stone, whether it is in your kitchen, bathroom, vanity or splashbacks, Granite Transformations will give you a finish that will last, adding a unique touch of luxury and untold value to your home. Have peace of mind with our 10 year warranty offered on all of our surfaces. Granite Transformations Hobart is an exclusive supplier of Trend Superior Surfaces.